Living in New York we have many days in the winter that you can’t do much at outside. You are stuck in the house with kids who want to play and have fun. Being home during a snowstorm made me think of different things we could do together. 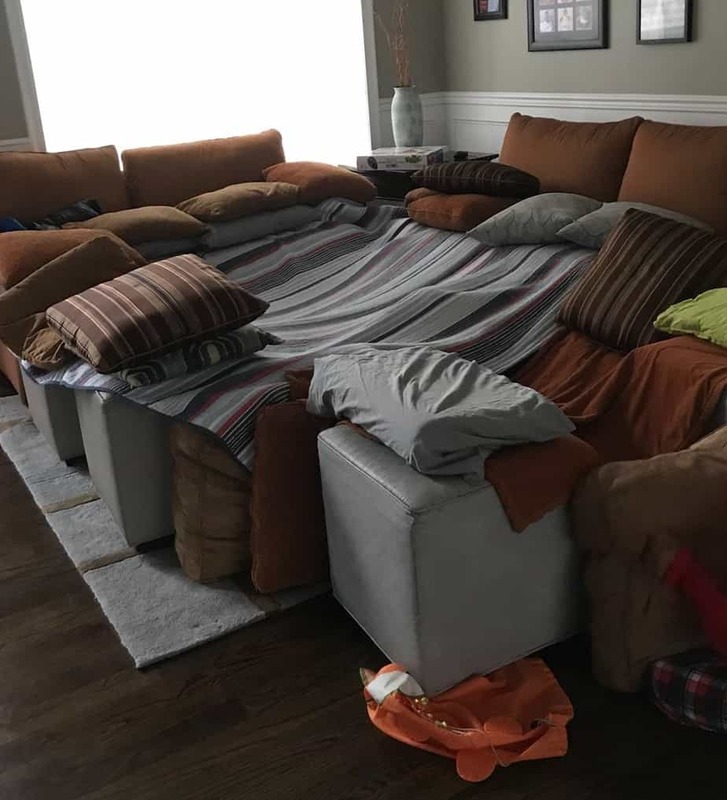 I put together a list of indoor snow day activities for the whole family. It’s cold and snowy outside and you don’t know what to do. Maybe it’s not snowing by you, but it’s gross-out. So, here you are stuck in the house with your kids. Without using IPADs or computers there are ways to keep the kids busy and everyone happy. These ideas are cheap, easy and you probably have everything at home already. That’s what makes these Snow Day Activities so terrific. The next time it snows, rains or is just too cold to go out you will have a list of easy things to do right at home. 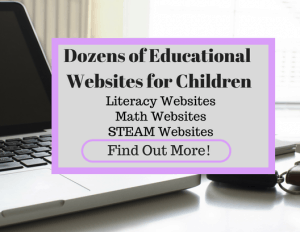 This is a list of tech-free indoor activities for kids. I’m sure that you already have most of these items in your house. Sometimes we forget what we have. Sometimes we can’t think of things to do. I put it all together for you. I know right now your thinking about the things you have to do or what needs to be done, but try to enjoy the day. I see you looking at that load of laundry. It will still be there tomorrow. We should all look at a snow day through the eyes of our children, with excitement and joy. Being stuck at home is a great way to spend time together as a family. 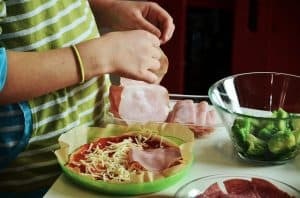 Also, check out 15 Terrific Ideas for Family Connect Nights. As children are playing and learning they are also working on their fine motor skills. For more activities to build fine motor skills sign up here. Realistic activities with materials you already have lying around the house. 1. Games- Board games, card games, dancing games anything you can think of. 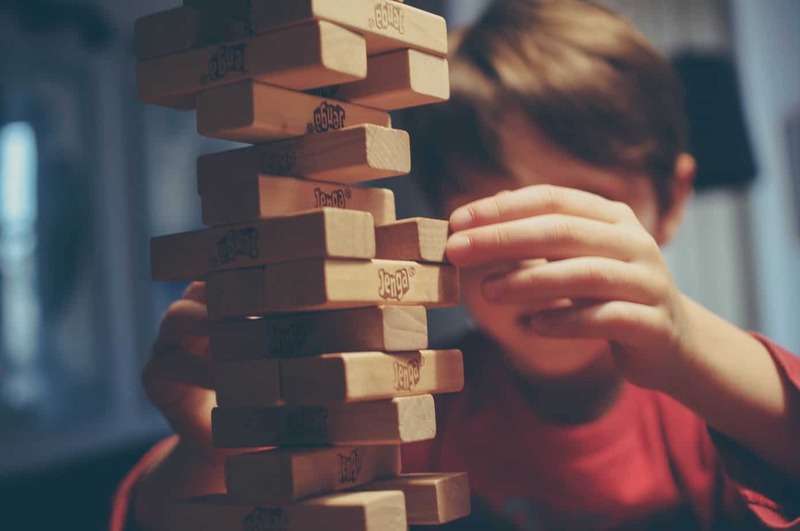 When playing games children learn to wait their turns, how to win and lose graciously and follow directions. 2. Dance Party- Shop customized children’s songs today! 3. Build of Fort or a Tent- This is a weekly occurrence in my house. 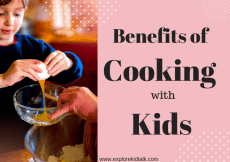 If you are struggling with getting your child to eat or is picky you need to look into “Why Won’t My Child Eat: Simple Steps to Bring Joy and Nourishment Back to Feeding Kids with Allergies, Pickiness, Oral SPD. This printable book is included in the Ultimate Meal Planning Bundle. Get yours now to help your child eat more of a variety. 5. 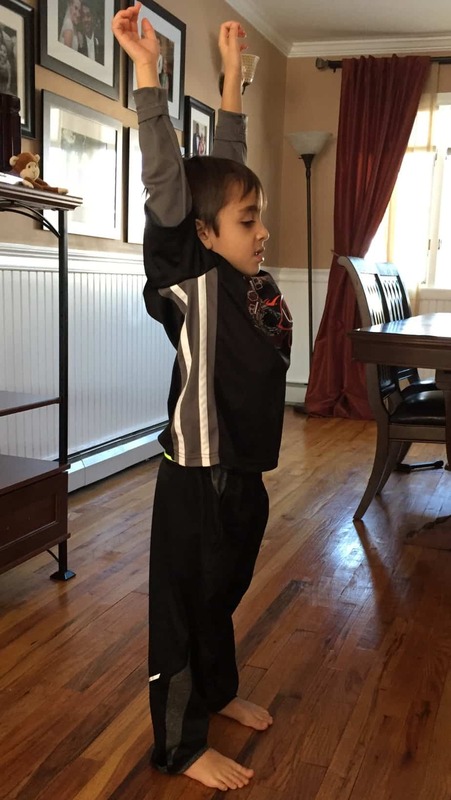 Bring the snow inside-If you have young ones that might not be able to handle the cold bring the snow inside. 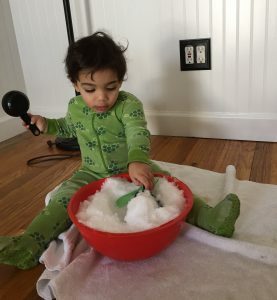 Put snow in a bowl or bin, add some measuring cups and let them play. My sons had a great time with this. As you know, bringing a little one out into the snow isn’t always easy or fun. It’s a lot of work to load the kids up with layers, boots and coats to only come in 10 minutes later. Bringing the snow inside worked great. They were playing, having fun and mostly not FREEZING. 6. Quiet time- It’s ok to not be doing something all the time. Sit and read together. Everyone can take turns reading to one another. 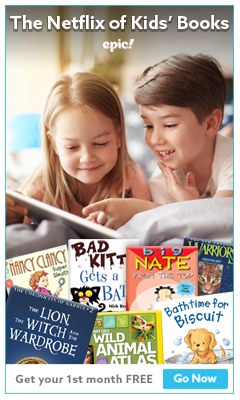 For Helpful tips when reading to your children check out ABC’s of Reading to and with your Child. 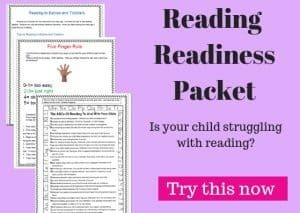 Sign up here to get a checklist of how to find the right book for your child. 7. 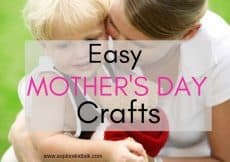 Crafts- Get messy and have fun. 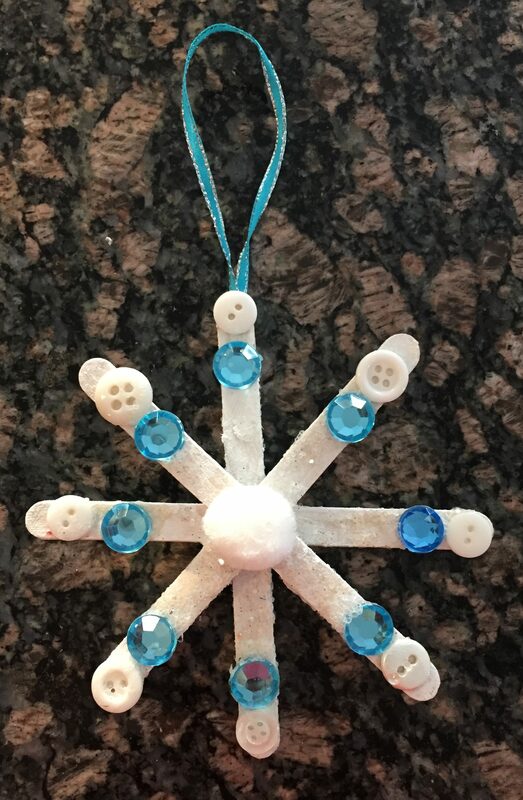 Here is a few Winter Crafts that you can try at home. 8. 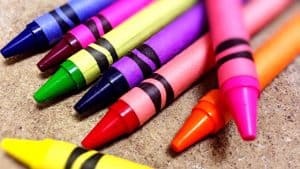 Color together- Coloring has been shown to reduce stress and relax people. Adults can use an Adult coloring book or just color in your child’s coloring book. 9. 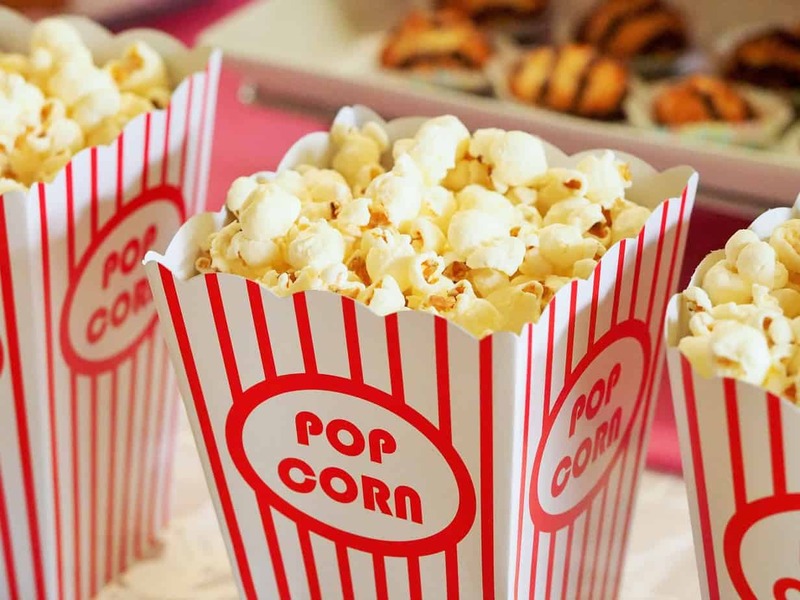 Watch a Movie- Old or new sit together with some popcorn and enjoy movie time together. 11. Balloon Toss- If you have balloons laying around, blow them up and have fun! Kids love playing with balloons. My kids will play with the balloons for days. This was my son’s first birthday. 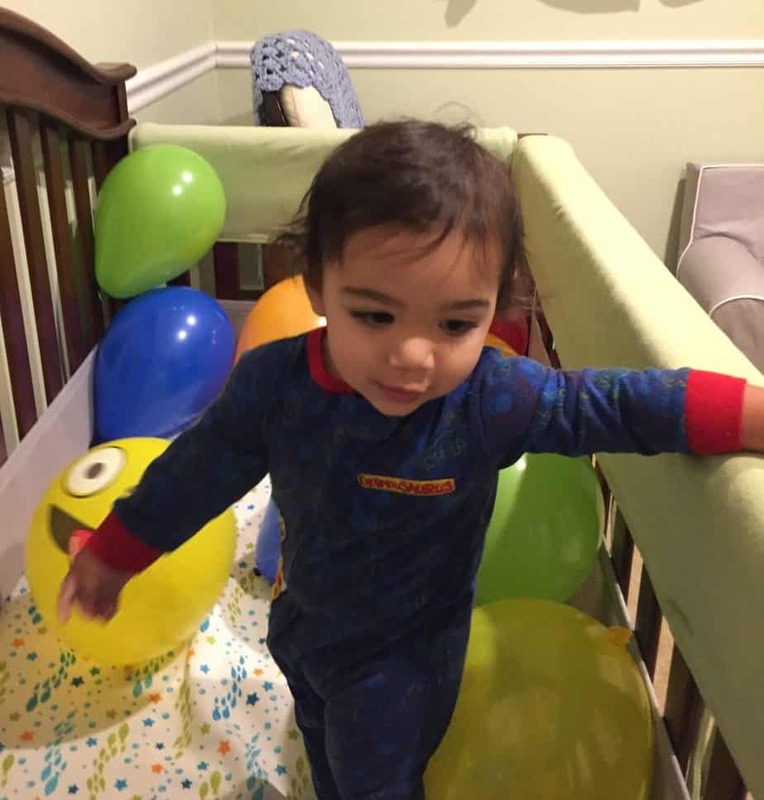 We filed his crib and the house with balloons. We continue to fill the house with balloons every birthday. 12. I Spy- This is a great game to help with paying attention and focusing. 16. 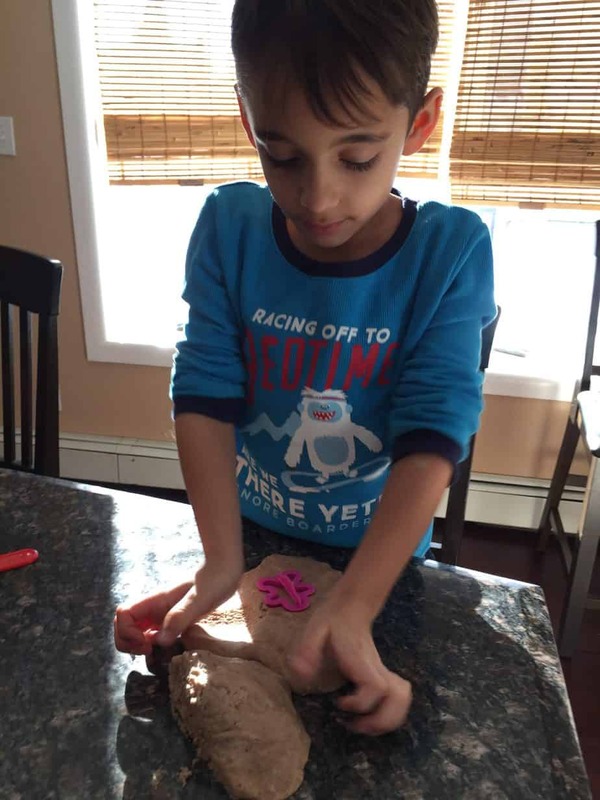 Make Dough or Play Dough- here’s a recipe for Gingerbread Play Dough It is easy to make and smells great. 19. Go through and find things to donate. –Let your kids go into their rooms and find things they haven’t played with in a while. Ask them what they are ok with giving away. By asking your children what they want to give away they have some control and then feel good about it instead of being upset that something is gone. 20. Sit and enjoy some Hot Chocolate together (make it better with marshmallows). Or maybe some coffee or tea for you. 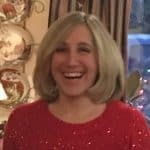 Use these ideas to enjoy the time together inside. 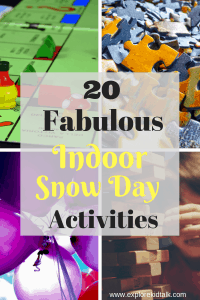 These Indoor Snow Day activities for the whole family will be a sure-fire hit. 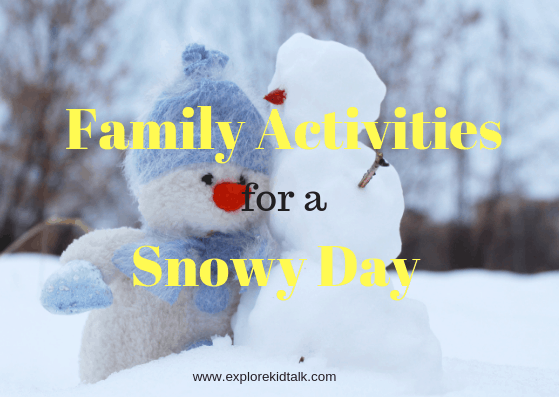 Please comment below and let me know some activities you do on a snowy day. I love the idea to bring snow inside. Especially for little ones! Great tips here, and definitely relevant with the weather that’s going on right now!!! Thank you. I’m so glad you liked it. My sons loved playing with the snow inside, even the older one. 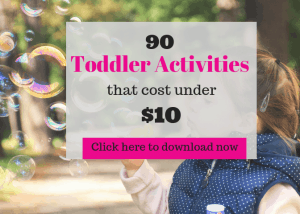 These are great activities!! ? it’s just started snowing again here, it’s meant to be spring. Where is the sun? ? Great activities! It’s just started snowing here again. It’s meant to be spring? Where is the sun? ? I know! March is always a crazy weather month. Enjoy the activities!! These are great! ? I’m all for a good outing in the snow, but even though we’re up north, we get a fair share of ugly winter days too. Will definitely be using some of these! Snow days are still new to me. I grew up in Florida . so seeing kids get a snow day here was a shocker. Then finding stuff for them to do was another ball game !